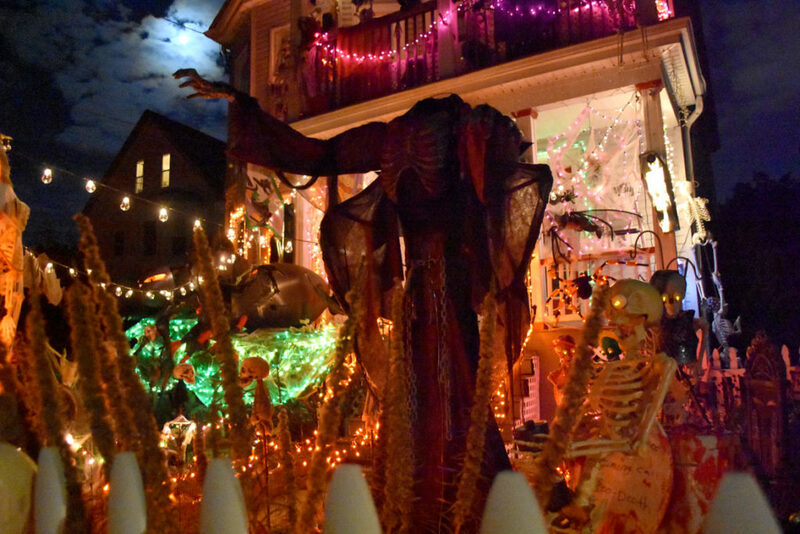 Halloween is a most wonderful time of year—that season when the lengthening nights make us suspect that the boundaries between living and dead and other sinister creatures grow porous, and we decorate our homes to welcome them in or warn them away or just tease our fears. Below is my guide to local homes where people have gone all out in celebrating Halloween. They’re listed by community, in alphabetical order. Seen great places I’ve missed? Let me know and I’ll add them in. 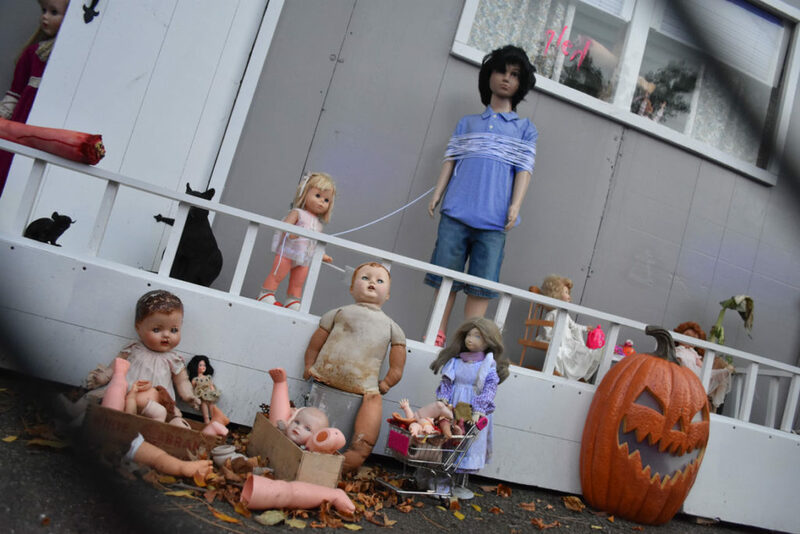 At the “Killer Doll House,” toys have gone on a murderous rampage. 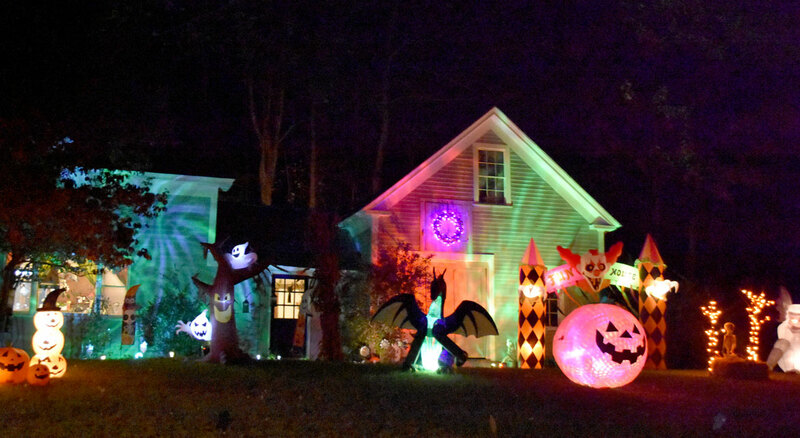 On a dark autumn night along this lonely country road, this house emerges like a beacon. 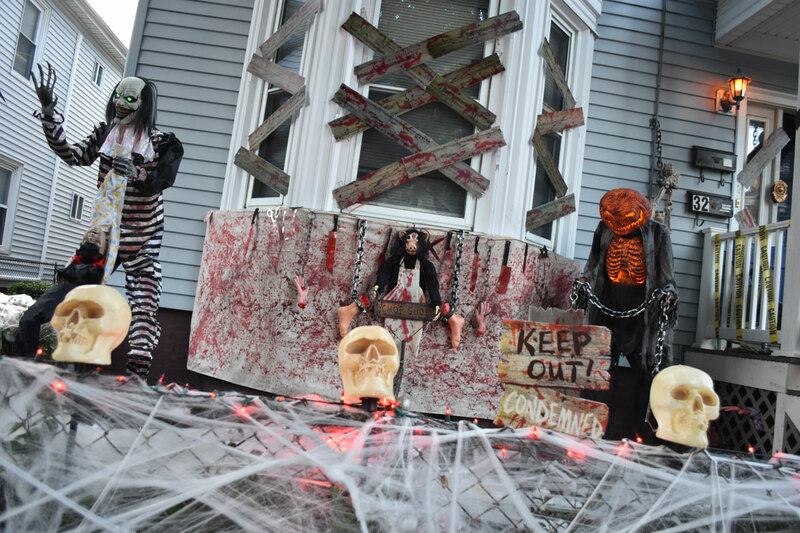 Bainbridge Street has become a Halloween destination since Maryann Spinney (26 Bainbridge St.) and her daughter and son-in-law Evelyn and Mark Anzalone (50-52 Bainbridge St.) began going all out decorating their homes more than a decade ago. 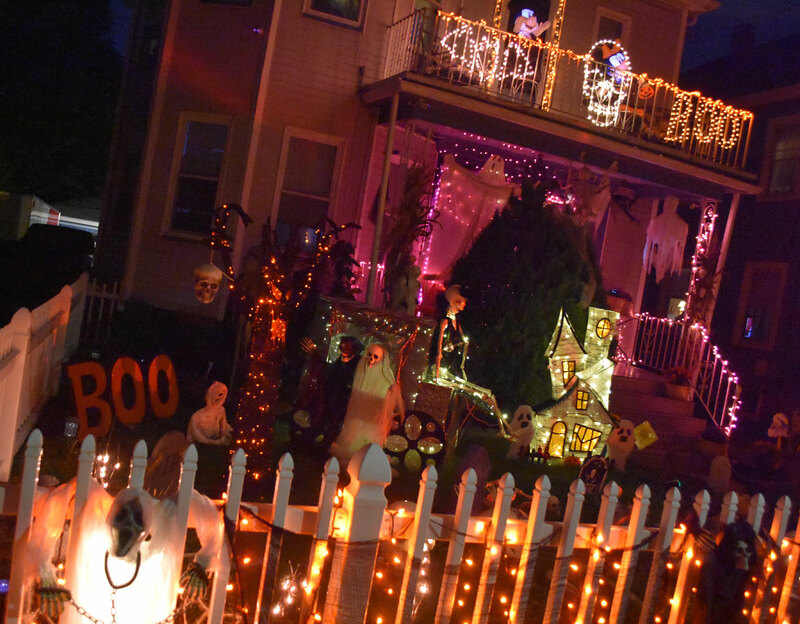 Beware the werewolf here that startles passersby with its growls. 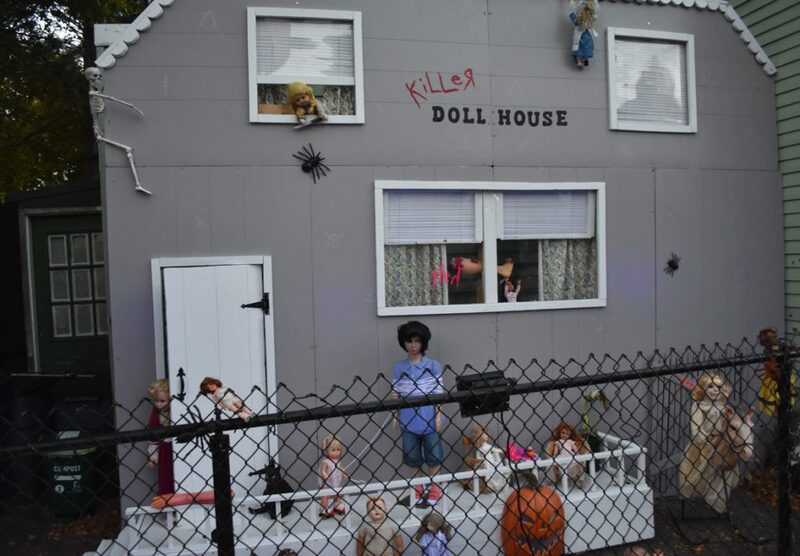 For a number of years, Scott Moss has transformed his front drive into “Clara’s Tunnel of Terror,” named for his late mother, who he says inspired his passion for Halloween haunts. 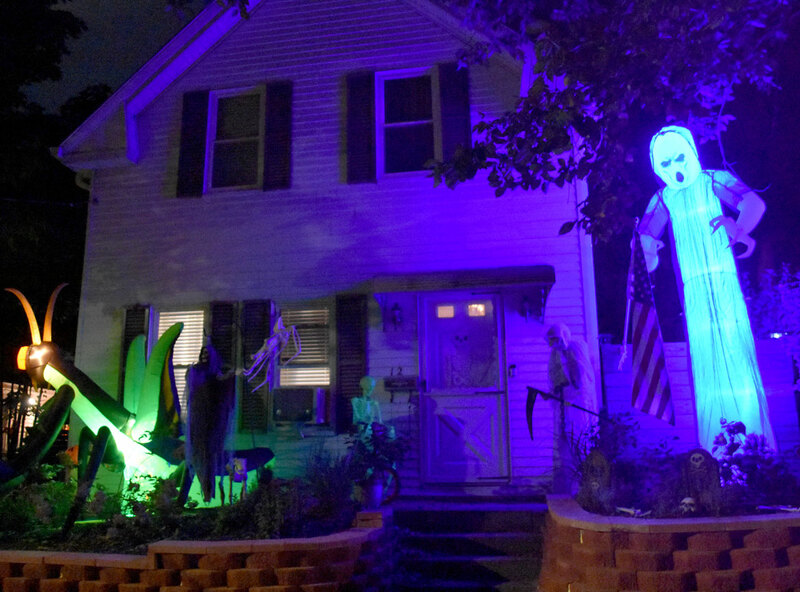 Dreaming of one day opening his own haunted house, he’s filled his property animated tableaus of skeletons, evil clowns, and a murderous butcher with a still writhing corpse. 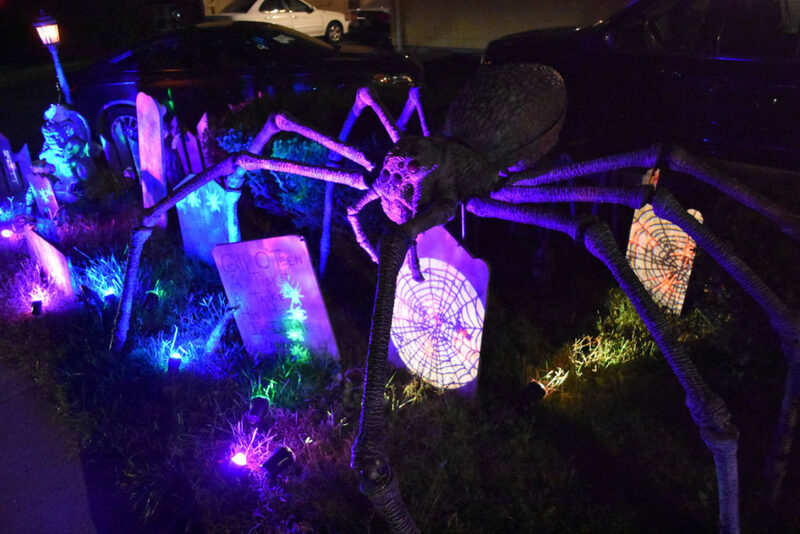 This year seems to be a (relatively) toned down affair, with one elaborate scene of a giant spider creeping through a graveyard. Springfield Street, near Concord Avenue, in Somerville is another neighborhood where residents go all out for Halloween—none more so than the Pacheco family at 32 Springfield St., led by Andrew and Brianna, who are scheduled to get married on Oct. 30. Love!